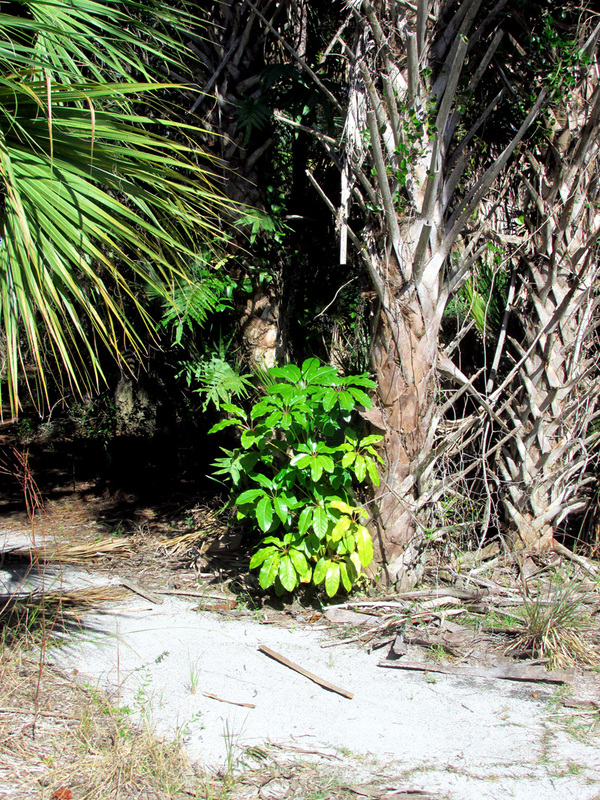 The only good Schefflera is a dead Schefflera, as pictured above due to the herbicide handiwork last year of Diane LaRue (Class of 2012), Jean ‘JJ’ Romano (Class of 2013), and Susan Warmer (Class of 2006). 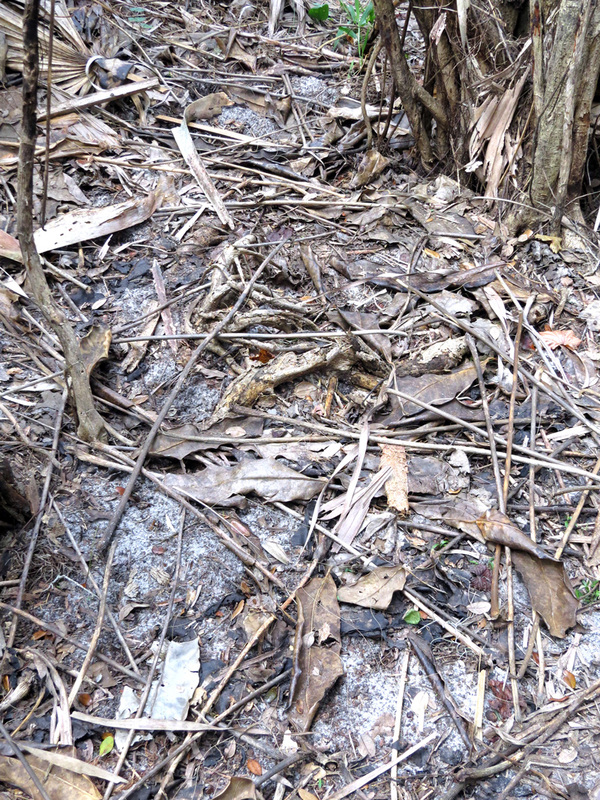 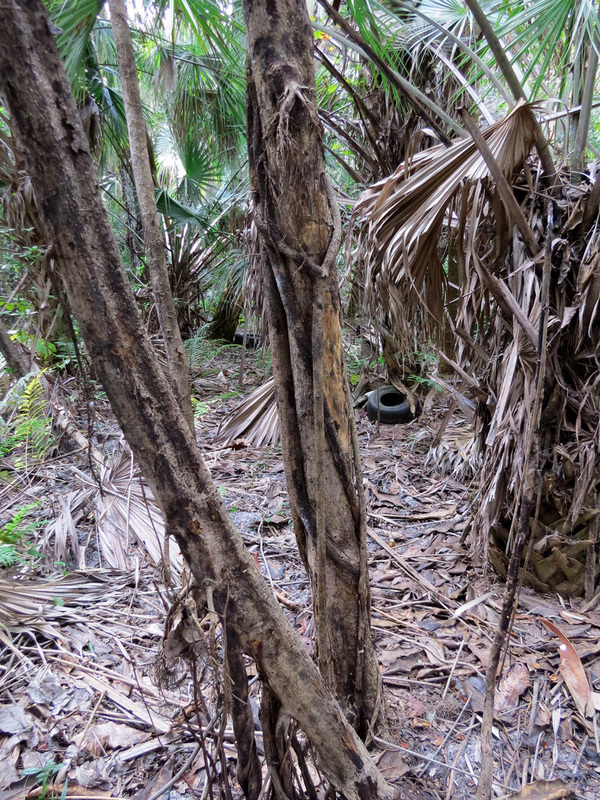 Note that the tire in the background is part of a Florida Medical Entomology Laboratory mosquito research project. 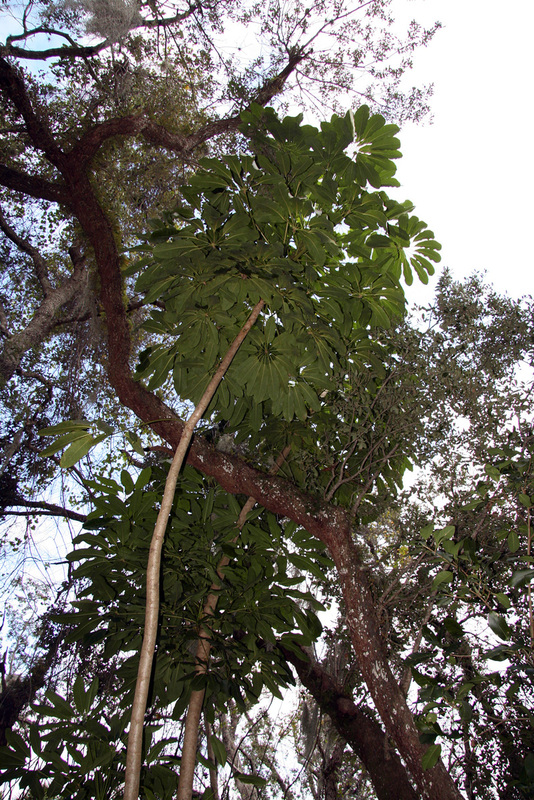 Known as umbrella tree, octopus tree, or just plain schefflera (Schefflera actinophylla) is a ‘Category 1’ invasive pest plant according to the Florida Invasive Pest Plant Council. 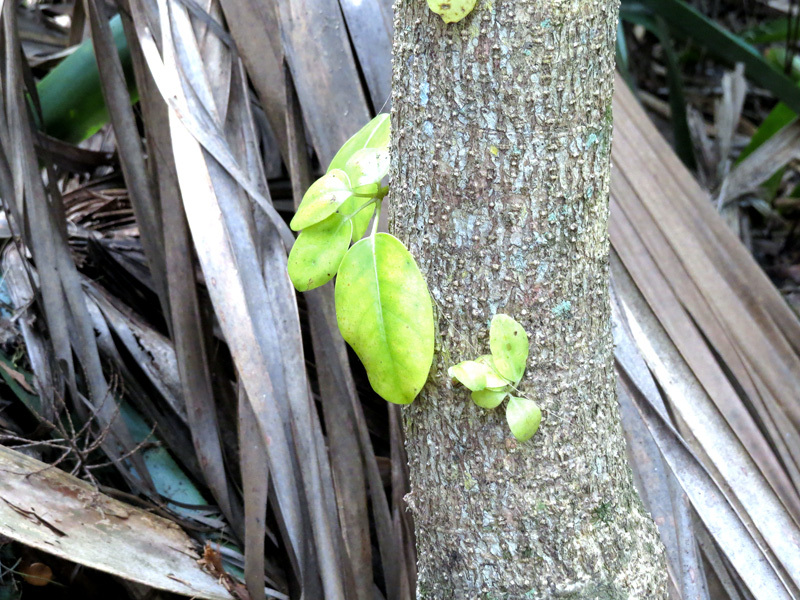 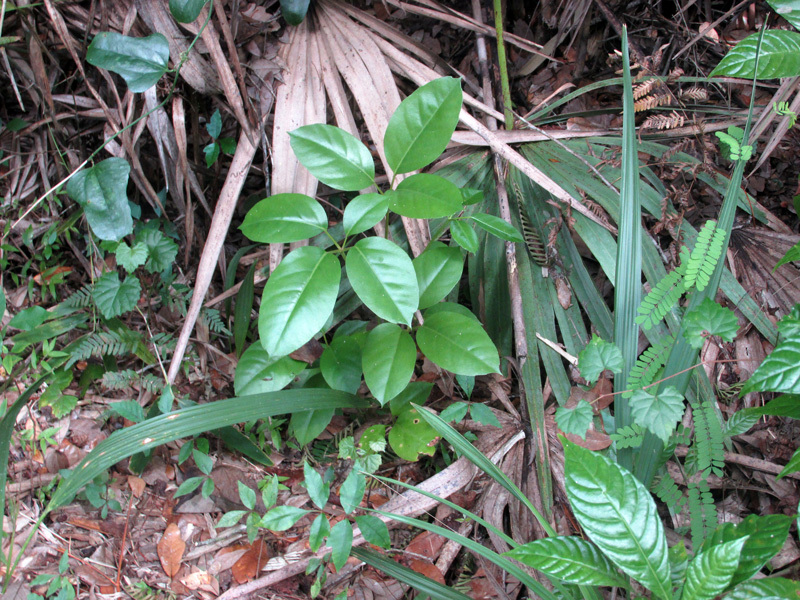 This plant, native to Australia, once was widely planted for its fast rate of growth and palmately compound leaves that gave a tropical feel to landscapes. 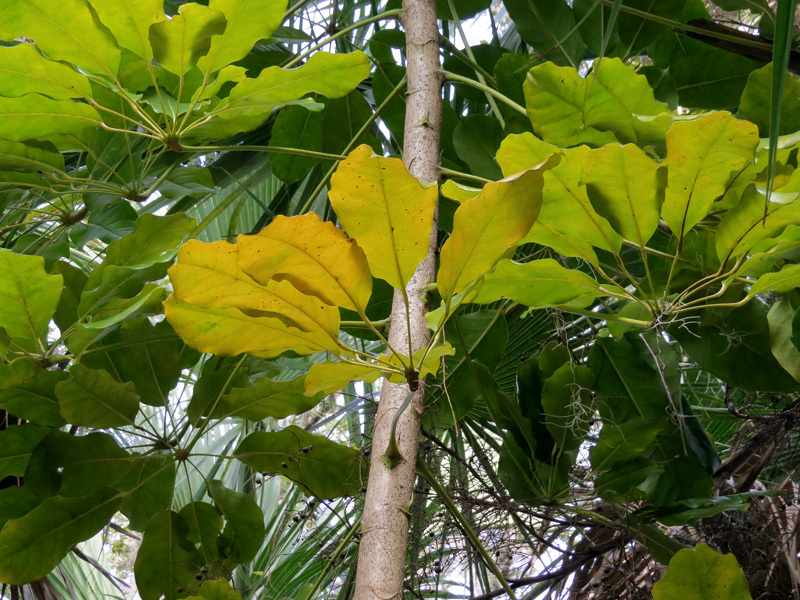 Though this plant can grow to more than 40 feet tall, it often was planted beneath roof eaves.